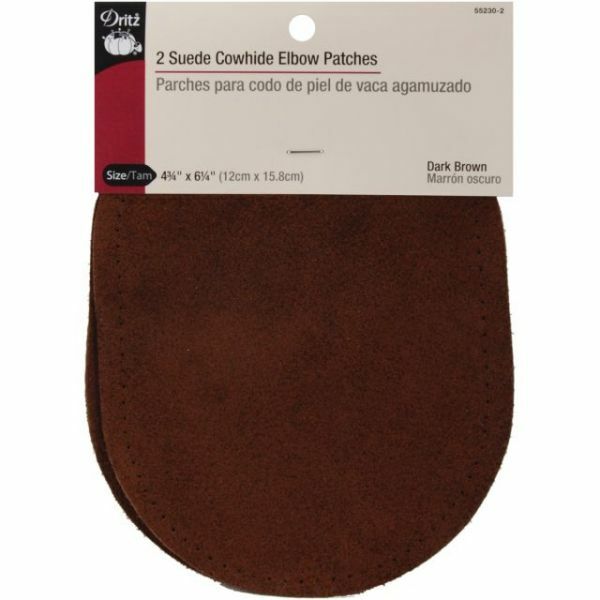 Suede Cowhide Elbow Patches 4-3/4"X6-5/8" 2/Pkg - DRITZ-For a rugged, sophisticated look, accent a suit jacket with these suede elbow patches. The perforated edges make them easy to sew on. Includes 2 patches and complete instructions. Dry clean only.